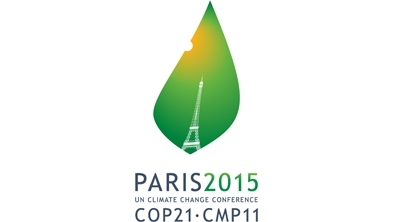 From 30 November to 11 December 2015, France will chair and host the 21st Conference of the Parties to the United Nations Framework Convention on Climate Change (COP21). The conference represents a crucial event because a new international agreement on climate change in order to keep global warming below 2°C, is expected to be agreed. In the framework of COP21, Think Forest, the European Forest Institute’s high-level discussion forum, chaired by the former Swedish Prime Minister Göran Persson, is organizing on 1 December 2015,in Paris, an event entitled “Climate policy targets: How can European forests contribute?”. EOS has been invited to take part at the panel discussion of this event in order to present the role of harvested wood products in a climate change perspective and presenting possible policy recommendations. "The governments of more than 190 nations are gathering in Paris to discuss a possible new global agreement on climate change, aimed at reducing global greenhouse gas emissions and thus avoiding the threat of dangerous climate change: the COP 21, the United Nations Climate Change Conference (UNFCCC) in Paris, represents a crucial event in committing our Countries in decoupling the economic growth from GHG emissions. The transformation of economic growth towards a lower dependency on fossil fuels and related greenhouse gas (GHG) emissions is essential for a successful global climate strategy. The outcome of COP 21 is likely to significantly impact business and economy. Nevertheless, this challenge posed to the Society and our Governments should be seen as an opportunity rather than a threat. Member States can achieve a low-carbon and bio-based society. Combining environmental sustainability and economic growth is possible if policies will be set in order to make an efficient and increased use of natural and renewable resources, such as wood. Indeed wood products can play an important role in fighting climate change and contributing to a drastic reduction of CO2 in the atmosphere. It is scientifically proven that wood products can mitigate climate change. Scientific data show that wood from sustainable managed forests when used as building products provides a negative carbon footprint and a long term carbon storage. The use of wood products can represent a greener alternative to fossil-fuel intensive materials. Substituting a cubic metre of wood for other construction materials results in the average of 0.75 to 1 tonne of CO2 savings. Indeed, compared to other materials, wood requires less energy to extract, transport, construct and maintain over time. Moreover, wood represents an excellent insulation material. Wood ‘s cellular structure contains air pockets that limit its ability to conduct heat, which make it a better insulation material. This helps to minimize the energy for heating and cooling. Increased use of wood boosts the economic value of forests; this ensures the maintenance and expansion of woodlands. Moreover, sustainably managed forests sequester carbon more efficiently than forests left to grow unmanaged. The carbon in the harvested trees continues to be stored throughout the life of the resulting wood product. In Europe, only 60 % of annual forest growth is actually harvested. Europe is the only region of the world with a positive net change in forest area during the last 20 years. The growing stock in Europe has increased faster than the area, which means that the average standing volume of wood per hectare has grown. In this period forest area in Europe has increased by 17 million hectares (almost half of the area of Italy). Over the last 20 years, total growing stock of forests in Europe has increased by 8.6 billion cubic meters. Between 2005 and 2010 the average annual absorption of carbon in forest biomass reached 870 million tons in the European region. The main opportunities to capitalise on these CO2 savings include using a greater proportion of wood products (e.g. increasing the use of wood in the construction, in furniture and in packaging industries, exchanging coal for biomass bioenergy), using wood products with a longer useful life, and increasing recycling. Despite the enormous environment benefits that can be obtained from an increased use of wood, EU level actions have been negligible in this field. Outside Europe, several important Countries such as USA, Canada and China, have made “building with wood” part of their climate change policy. Now, it is high time that the European Union, who is one of the leaders in promoting a sustainable and environment friendly society, takes the same pathway. The European Decision n°529/2013 on “accounting rules on greenhouse gas emissions and removals resulting from activities relating to land use, land-use change and forestry and on information concerning actions relating to those activities” invites Member States to increase the use of wood products and set measures to substitute greenhouse gas intensive materials and energy feedstocks with biomass (respectively whereas n°13 and 10 of the European Decision n°529/2013). Moreover at the beginning of 2014, the European Economic and Social Committee stressed in the own-initiative opinion on the “Contribution of the woodworking sector to the carbon balance” that “ Europe can drastically reduce CO2 emissions by increasing the carbon sink created by its forests (by optimising their management) and by enhancing the use of sustainably produced wood products”. In addition, the European Economic and Social Committee demanded the EU Institutions to create a favorable legislative environment for boosting the use and consumption of harvested wood products. As very first step, it is necessary to raise awareness of the role of wood products for mitigating climate change. In Europe, forests act as a carbon sink. Measures to improve emission reductions tend to focus on sequestration in the forest without taking into account the positive contribution of active forest management and the use of wood products to substitute more carbon intensive products. The carbon stored in wood products needs to be given equal footing with the CO2 captured by forests. Despite of the Decision that the European Commission will take on how to address GHG emissions from agriculture and LULUCF in the context of the 2030 framework, it is essential that Member States set up measures for enhancing use of wood both in residential and non-residential constructions thus contributing in creating green societies. Urban areas are currently estimated to be responsible for 71–76 % of energy-related CO2 emissions. In 2014, 54% of the world’s population was living in cities, and this figure is expected to rise to 66 by 2050. (Source “The 2014 revision of the World Urbanization Prospects by UN DESA’s Population Division”). Clearly solutions for a more sustainable construction have an important role in reducing CO2 emissions. For this reason and considering that the Energy Performance of Buildings Directive requires all new buildings to be nearly zero-energy by the end of 2020 and all new public buildings to be nearly zero-energy by 2018, elements such as “material substitution for reducing GHG emissions, particularly CO2” and “embodied energy in buildings materials” should be an integrated part of the national “zero emission buildings” plans. When technically feasible, natural and renewable materials should be always preferred in construction and be an essential part of the GPP. Indeed, the use of natural, renewable and recyclable materials will represent an important tool for developing a competitive and circular economy. Finally, Governments are invited to considers the introduction of comprehensive measures for favoring the use for highly recyclable, non pollutant, and CO2 emission free materials in order to create an effective bio-based and environmental friendly economy." Tackle Climate change: use wood!